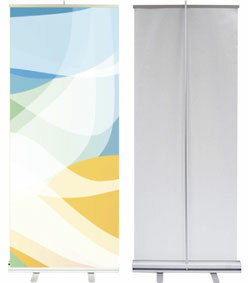 For our retractable Pop up banners stands we use only high quality stay flat vinyl banner material. 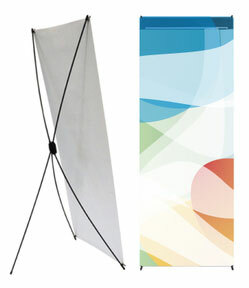 The holders are constructed of durable light weight aluminum. 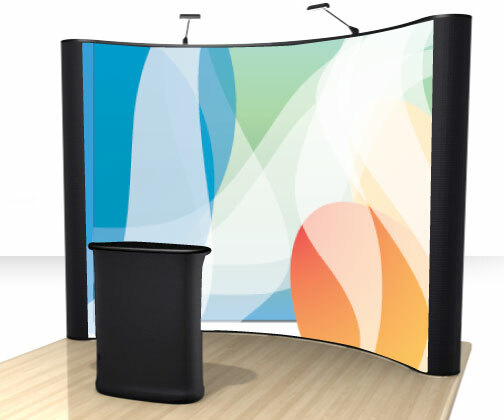 All Banner Stands come with a attractive cases. 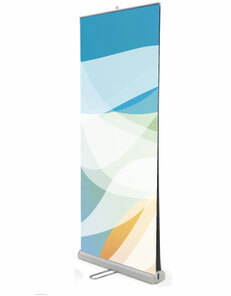 The X Banner is constructed of black plastic. 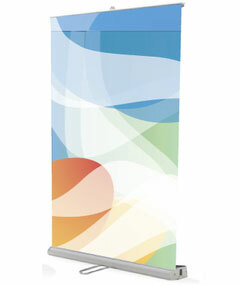 We include 20 minutes of free time with every banner. Our artists can assist you with art changes. You can upload directly from our site (see Contact Us) For larger files upload from our FTP site. 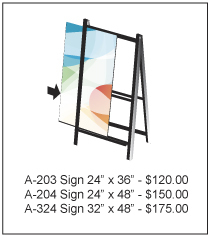 We offer many options to realize your custom banner vision. 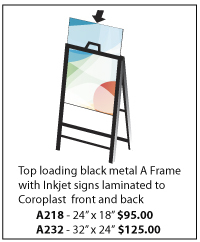 • Our Ink Jet Printers are wide format and can print banners up to 60" wide with virtually no length limits. • Upload your art or have our graphic artists assist you to customize or create artwork. • We stock 14 oz. Stay Flat block out and 21 oz. 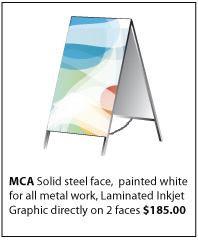 Canadian Made double sided blockout vinyl banner material.